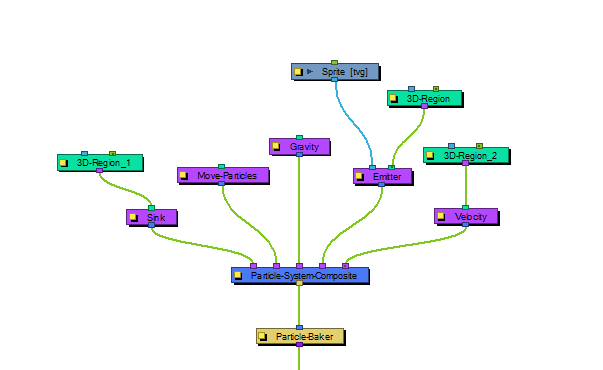 This is where you connect together all of the "Actions" of your particle system. An action is any of the light purple modules, like Gravity, Emitters, velocity parameters. All of the "Actions" help to define the behaviour of the particle system.